I am Assistant Professor at the Department of Social and Political Sciences (University of Milan), since 2013, with National scientific qualification for Associate Professorship. I teach Political Science (undergraduate), Polimetrics (undergraduate) and Applied Multivariate Analysis for Social Scientists (doctoral). I received my PhD from the Graduate School in Social and Political Sciences (Nasp). I have been Visiting Fellow at the Institute for Quantitative Social Science, Harvard University, from September 2010 until March 2011. 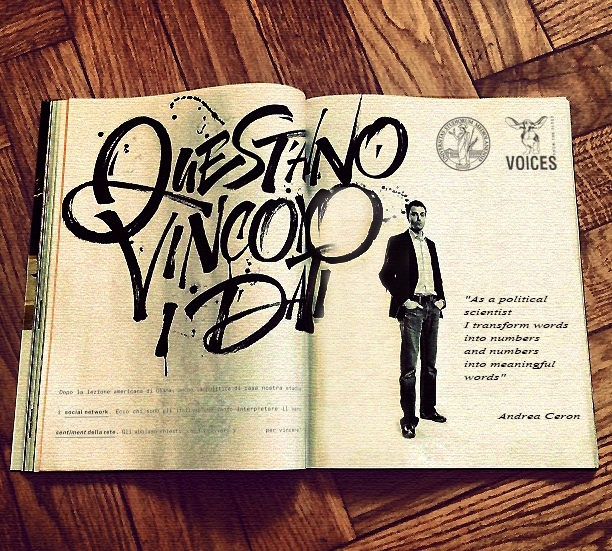 In 2012 I have been co-founder of VOICES from the blogs LTD, a spin-off of the University of Milan, focused on text analysis and sentiment analysis of social media. From December 2012 until November 2018 I have been board member of the company. From September 2016 until November 2018 I served as Chief Operating Officer (COO) and Chief Marketing Officer (CMO) and I was also responsible for Human Resources and co-responsible for Financial matters. My research interests include: Intra-party politics, quantitative text analysis, social media, political parties, coalition governments, political trust and democratic support, party competition, electoral campaigns, mass media. Want to know more? Visite the website and read my CV or follow me on Google Scholar on ResearchGate and on Academia.edu.